Keyboard shortcuts for the Mac Genius! Most of us know about shortcuts. If you have ever copied something by clicking the Command button and the C button, you know that shortcuts can be a very quick and efficient way of working. You should take advantage of the different shortcuts incorporated into OS X to make things a lot easier for yourself. Some shortcuts seem to be more important than others. There are some shortcuts that are more commonly used, but that doesn’t necessarily make it the most important. I will talk about my top 3 shortcuts. One shortcut that is very convenient is the Command-Delete shortcut. This shortcut allows you to automatically send whatever items you have selected to the Trash. This is helpful especially when you are prone to accidently dropping whatever you have selected elsewhere instead of the Trash. That is actually something I do quite frequently, so the Command-Delete shortcut is really useful. My second top shortcut is the Option-Command-Esc shortcut. If you’re familiar with Windows, you will recognize that this shortcut will bring up the force-quit window, which is very similar to the Task Manager. On Windows, you would click Control-Alt-Delete whenever you needed to end a program. As I am very accustomed to Windows, this shortcut is easy for me to get used to and depend on. My third top shortcut is Control-Option-Command-Eject. This shortcut results in shutting down your computer. Most people shut off their computers off when they are done using it for awhile, so this shortcut can be used frequently. Those are my top three shortcuts. That doesn’t mean I don’t use other shortcuts. There are many other shortcuts that are very helpful. They can range from being as simple as two buttons, or it could be much more. Whatever the shortcut, it is meant for your convenience, so take advantage of it. If you have any questions or comments, leave it below and we’ll get back to it as soon as possible. What are your top keyboard shortcuts for OS X? Many people have been waiting to see if the iPhone 4S or iPhone 5 is coming out soon or not. There have been rumors that it’s going to be the iPhone 4S coming out this fall and that the iPhone 5 will come out in January 2012. But based on the recent news from BGR, the iPhone 5 will launch in early October. BGR has gotten information from one of their sources that the AT&T Vice President has told managers: “Expect things to get really, really busy in the next 35-50 days, so prepare your teams accordingly.” The iPhone 5 is expected to have an 8-Megapixel camera with full HD 1080p. It will also feature a 4-inch screen, new antenna location, and it will be only 0.28 inch thick. It may also have a dual core processor. Some speculate a 3D screen. There are also rumors that they will be equipped with NFC chips. When it comes to U.S. phone carriers, we already know that Verizon Wireless and AT&T will sell the iPhone 5, but what is new is that Sprint and T-Mobile are said to also start selling the iPhone. If Sprint and T-Mobile do sell the iPhone, expect to see their data usage prices go up. Ever since Verizon has been selling the iPhone, they don’t give unlimited data anymore. On a recent article called AT&T to Throttle Unlimited Data, companies are throttling data usage. Companies are starting to not give unlimited anymore. Watch for Sprint and T-Mobile to stop selling unlimited data once the iPhone 5 comes to them. Sprint doesn’t have a top competitor smartphone like the iPhone, so it doesn’t have to worry about the data usage as much as AT&T or Verizon. Keep a look out for more iPhone 5 news on www.therealmacgenius.com. Comments or questions? Drop them below and we will get back to you as soon as we can. System Preferences is great because it allows you to control almost every setting on your Mac all in one spot. To start I am going to show you how to use System Preferences interface. To navigate around just click on the icons of what you want or you can search it in the top right hand corner. To track back just click the backward or forward buttons on the top left and to go to the main menu select Show All. The two panes that I use the most are Desktop and Screen Saver, and Mission Control. To use Desktop and Screen Saver’s settings you can navigate through it by going to the left where all the photos and screen savers on your computer will be. To select a background or screen saver just choose the desired photo or screen saver on the side. Sometimes it will bring you to a folder so you can sort from there. Personally, I just put photos on a slideshow and choose a default screen saver because it is the easiest thing to do. Mission control is very simple, yet effective because it allows you to use many different shortcuts. For Keyboard Shortcuts you can change how to access the shortcut by scrolling down the menu next to it. Another thing that is very useful is the Hot Corners section where it allows you to scroll to any given corner and it will do what you had designated it to do. System Preferences is a great way to control settings on your Mac all in one place. It can be a very simple or complicated application depending on how you use it with many ways to customize and secure your Mac. Is Apple really done inventing new devices? Apple has blown the world away for less then a decade and they don’t seem like their stopping anytime soon, or are they? 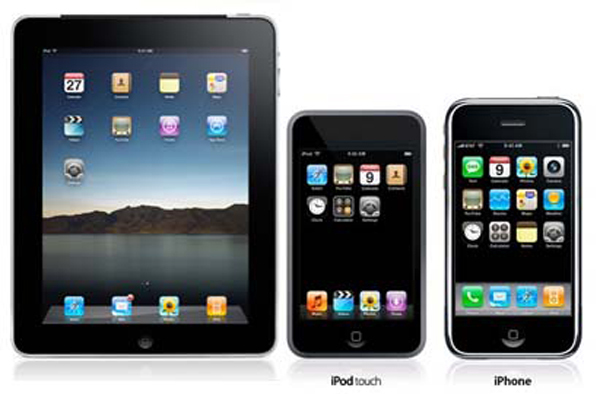 Apple has created the devices such as the iPod, iPhone, and iPad. These products have gotten a lot of attention as of lately and the different things that each can do is incredible. The price for these products isn’t even in the minds of buyers when they buy the product. All they can think about is that they have the newest and greatest product out on the market. Apple has done such a great job marketing these products that everywhere you look; there will be an Apple logo somewhere. In terms of greatness, Apple has just broken into the scenes of the electronic world. Apple was created in 1976, and they didn’t improve until the 2000’s. Apple was just a footnote in the technology world, another company trying to make a breakout but failing. It wasn’t until 1997 when Apple actually broke down and asked Microsoft to save them. Microsoft, their biggest competitor, if you can call it that, was saving Apple. Microsoft invested $150 million dollars into Apple which promised Microsoft, that they would offer Internet Explorer on their Macs and other incentives. Also in 1997 they promoted Steve Jobs from “advisor” to “interim CEO”. That was single handedly one of the best decisions Apple ever made. So that was a little background in Apple’s history. So, to get back to my point to why Apple is done inventing new devices. Apple has fixed what was broken about the creation and consumption of content. Everything that Apple has created was to change digital media and the internet to fix what was broken. Then came the iPod, followed by the iPhone, iPad and so on. This is exactly why Apple will stop creating new platforms. Can anything Apple make in the next decade compare to what Apple has created in the past decade? Yes Apple can build on the products they have now, but how many iPhones and iPods can they make? One of the things Apple will make is a TV set. Is making a TV set the same as inventing the TV though? The TV Apple may make is no going to be compare to he iPod, mainly because Apple didn’t invent the TV. Apple has created a line of products that create and consume the best experience for users. Since they have already succeeded in doing that, no further products are necessary to be made. Apple has succeeded in making products that were made already, but they perfected them. Tablets were made way before the iPad came, but they just weren’t good enough. Apple created a tablet that people enjoy having. There are many arguments that can be made about this. There is definitely no correct answer but this is just an opinion based on what I think. I do believe that Apple will continue to grow as a company outside of their devices and such. They for sure won’t stop building on the devices they have now, but there is a valid argument that they may stop creating a new line of devices. Until another crisis comes for a better product, Apple will just have to wait. 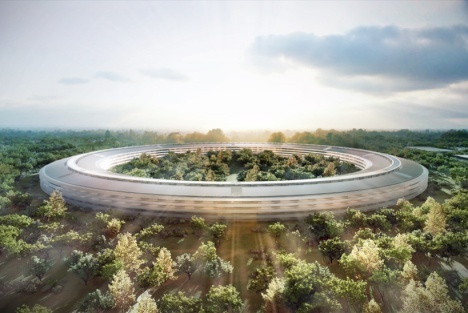 Want to know what the new campus for Apple looks like? 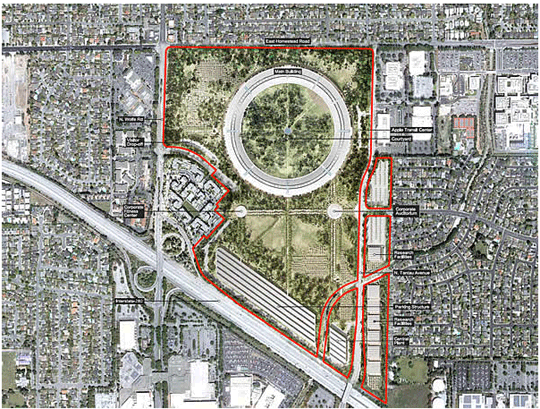 Well look no further, the Cupertino city homepage has posted Apple’s proposal in full detail. It includes high-res drawings and pictures, renderings, floor plans, and conceptual landscapes. I think that the new building will be a great thing for Apple. The building is bigger and it is a very nice layout. Especially the way Apple works, it will be a great use for all the space that are given. How big the campus is, is unavailable until the whole layout is complete. Expanding is the only way Apple will grow as a company and a bigger campus will only boost Apple’s reputation.